The Centers for Disease Control and Prevention (CDC) today announced about 14 percent of the U.S. population is infected with Toxocara, or internal roundworms, contracted from dogs and cats. The results of this study demonstrate that Toxocara infection in the United States is more widespread and common than previously understood. This infectious agent is capable of causing zoonotic disease that can lead to blindness and serious systemic illness. 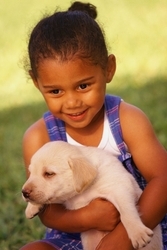 The nonprofit CAPC (http://www.petsandparasites.org) was formed to educate pet owners about zoonotic disease and steps they can take to virtually eliminate the risk of pets making people sick. About 14 percent of the U.S. population is infected with Toxocara, or internal roundworms, contracted from dogs and cats. That's according to the results of a Centers for Disease Control and Prevention (CDC) study announced today at the American Society of Tropical Medicine and Hygiene in Philadelphia. "The results of this study demonstrate that Toxocara infection in the United States is more widespread and common than previously understood," said Peter Schantz, VMD, PhD, an epidemiologist in the Division of Parasitic Diseases at the CDC and a founding board member of the Companion Animal Parasite Council (CAPC). "Although most persons infected with Toxocara have no apparent symptoms, this infectious agent is capable of causing blindness and other serious systemic illness, which makes it a public health issue." "The CAPC recommends that pet owners administer year-round preventive medicines that control internal and external parasites - such as roundworms, heartworm, fleas and ticks - for the life of their dog or cat no matter where they live," said Michael Paul, DVM, executive director of the CAPC. "If you prevent parasitic infections in companion animals, you greatly reduce the chances of zoonotic transmission to people." Despite the availability of effective treatments to prevent them, parasites - some deadly - remain a common fact of life for dogs and cats. Most companion animals have the potential for exposure to parasites all year long. Experts agree there is a year-round threat in all regions of the country, even those that experience below-freezing temperatures, since parasites such as fleas and ticks thrive inside homes regardless of weather conditions outdoors. Novartis Animal Health US, Inc. funded the CDC toxocara study. As the sentinel for the health of people in the United States and throughout the world, CDC (http://www.cdc.gov) strives to protect people's health and safety, provide reliable health information, and improve health through strong partnerships. For more information on Toxocara infection, visit.http://www.cdc.gov/ncidod/dpd/parasites/toxocara/factsht_toxocara.htm. As a federal agency, CDC does not promote or endorse specific products.